Everything you need to know about Feather Touch Brows! 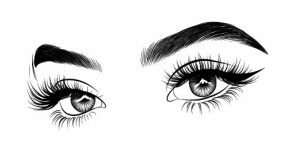 Cosmetic Eyebrow Tattooing is a natural enhancement of your eyebrows that creates the illusion of a fuller and more defined shape from the application of individual hair-like strokes. You will feel more confident without makeup, knowing your eyebrows are always perfect! Especially suitable if you have fair hair, little hair, hair loss or gaps in your brows. You want fuller, thicker-looking brows. It is wonderfully convenient and minimal maintenance required. Brazilian Beauty gives you the best possible result with our Feather Touch Brow. This technique uses a fine microblade tool which is passed over the area with pigment to create individual hair-like strokes in the eyebrow. It is a subtle way to achieve fuller-looking, natural eyebrows. Anaesthetic is applied to the area to make sure you stay comfortable throughout the procedure. It should last between 12 and 24 months. However, you may need a touch up every 6 months, depending on your skin to maintain the look. One of the best things about your Feather Touch Brow is that being semi-permanent, as opposed to permanent, it enables you to adapt to changing styles and trends. Book a complimentary consultation with one of our professional Brazilian Beauty Senior Therapists. We will thoroughly assess whether the treatment is appropriate for you. We’ll chat about your desired shape and colour and answer all questions and concerns. The ‘perfect’ brow needs two sessions. The first will focus on shape and desired pigment colour. In four weeks we’ll perform your follow-up treatment where we retouch your brows to ensure that the shade and shape are perfect. Treatments can take up to one and a half hours. We take time to meticulously map out your desired shape and to allow the anaesthetic to take effect. Any redness, discomfort or swelling will settle down after about 24 hours. It is also normal for the colour to appear more prominent for the first few days, after which it will fade to the perfect intensity. The pigment can fade up to 50% in the first seven days. After approximately 3 days you may experience flaking skin in the eyebrows but this will be gone within a week. Need to know more? Book in with the professional Beauty Therapists at your favourite Brazilian Beauty clinic for a complimentary consultation. Find out more about our Feather Touch Brow options here.